I’ve gotten increasingly interested in meal replacement supplementation. I am a college baseball player and I find myself traveling for several days a week at times during the season. It is extremely difficult to get enough nutrition and particularly difficult to get quality nutrition in the world of bus travel, fast food joints, and gas stations. I am also following a very exacting class schedule that often leads me to missing/condensing meals in the interest of time. 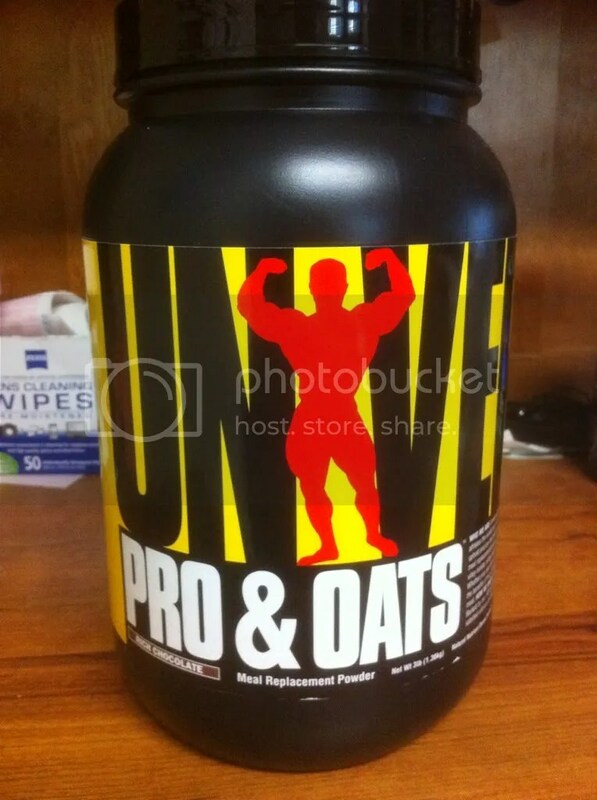 While there are several great protein/carb powders out there to support my situation, that doesn’t quite do it. At some point, you want something solid in your stomach. It is more satisfying and just feels better. This leads me to protein bars. Those are personal things. Some of you may have other pet peeves and/or preferences. 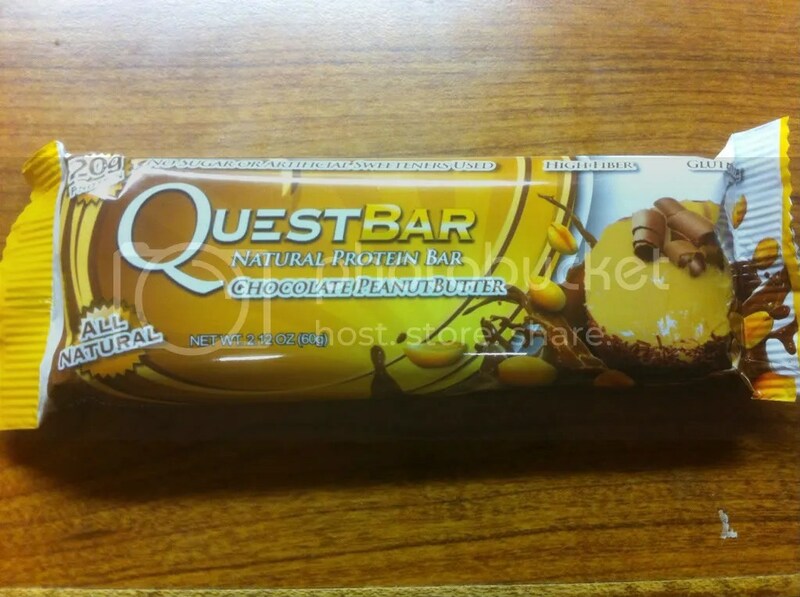 Quest has recently started a new, all-natural line of bars. They will maintain their original line as well. What are the few, minimal differences between lines? – The original line uses sucralose as a sweetener, which is proven safe in clinical study and arguably tastes better stand-alone. Erythritol is the sugar alcohol (polyol) that has the least impact on blood sugar. Erythritol has almost zero calories, carbs, and glycemic index. The reason is a bit different that most sugar alcohols, which are only partially absorbed in the small intestine. Most (60-90%) of the erythritol is absorbed into the blood, but is then excreted in the urine. Because of this, erythritol tends to produce much less intestinal distress than other sugar alcohols. This is important because I knocked sugar alcohols, like the common sorbitol, earlier. Not only does erythritol have an almost non-existent glycemic index just like sucralose, it is not known to cause stomach distress. Therefore, I see no reason personally to view either line differently. I will simply choose to buy or not buy based on flavors that I like. Consumption of IO effectively improved bowel movement, stool output and microbial fermentation in the colon without any adverse effect observed in this study. Therefore, supplementation of IO into ordinary low fiber diets may be practical in relieving constipation in the elderly population. I’m going to extrapolate that claim to the general population, like us . Moreover, isomalto-oligosaccharide is a prebiotic. This means it will help your GI tract cultivate more healthy bacteria to aid in digestive. The above study confirmed that as well. Another cool feature is that it has been shown to cause less flatulence (you know, farting) than other fiber sources. As a matter of fact, it is said that you should feel no side effects of fiber intake at levels as high as 40 grams. Even past that, we’re talking about side effects of pooping more, farting more. The final feature of this fiber is that it also acts a sweetener, enhancing the flavor of the product. There may be things that the reader is looking for that don’t mean as much to me. For instance, some are averse to artificial sweeteners. As we know, they can happily stick with the natural line. I was attracted to this first, because this is definitely my favorite real-life dessert of the flavors I was sent. Cracking open the wrapper, I did not detect any scent. Not that this matters to me, but some people do want to know that. I should also note that I’ve broken my nose 3 times and my ability to smell is incredibly hit and miss. As inspired by another review and the recommendation on the packaging, I tried it out of the wrapper and after 15 seconds of microwaving. Out of the wrapper it is probably more filling, but it is by no means tough or overly chewy. While it looks kind of like taffy in the picture, it is in effect nothing of the sort. After microwaving, it is just the best stuff ever. Very pleasant cinnamon taste, not overly sweet. The ratio of cinnamon to sweetness to doughiness is comparable, to me, like the oatmeal I make with cinnamon and splenda for sweetening. I actually think the taste could be accurately compared to a snickerdoodle cookie, just as the texture after microwaving. Just delicious, really. Unique from your regular protein bar and really anything else I’ve eaten. Definitely on par with a legit dessert food though, seriously. 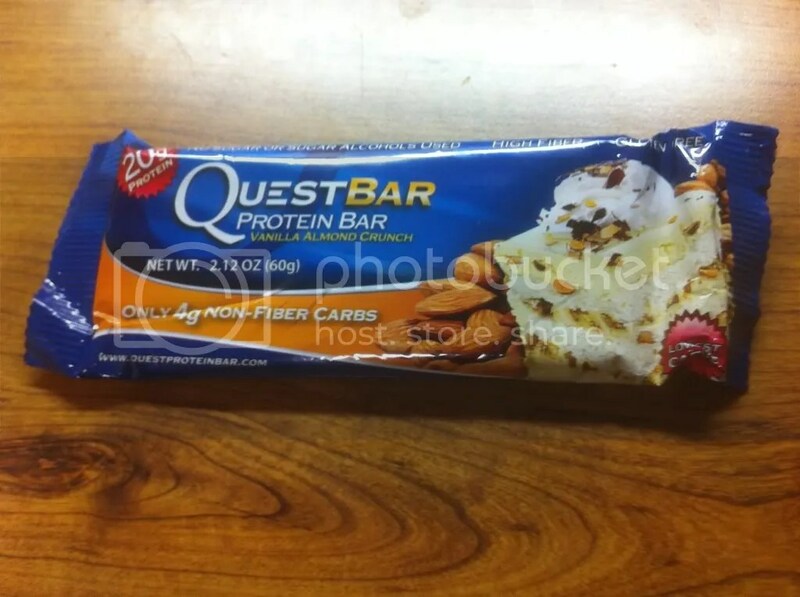 It would be a tough choice between a snickerdoodle cookie and this Quest bar. If you threw in the variable of the microwave being available, I think it may be an easy choice in favor of the Quest Cinnamon Roll on taste alone. Needless to say, this is the best tasting protein bar I’ve ever had. 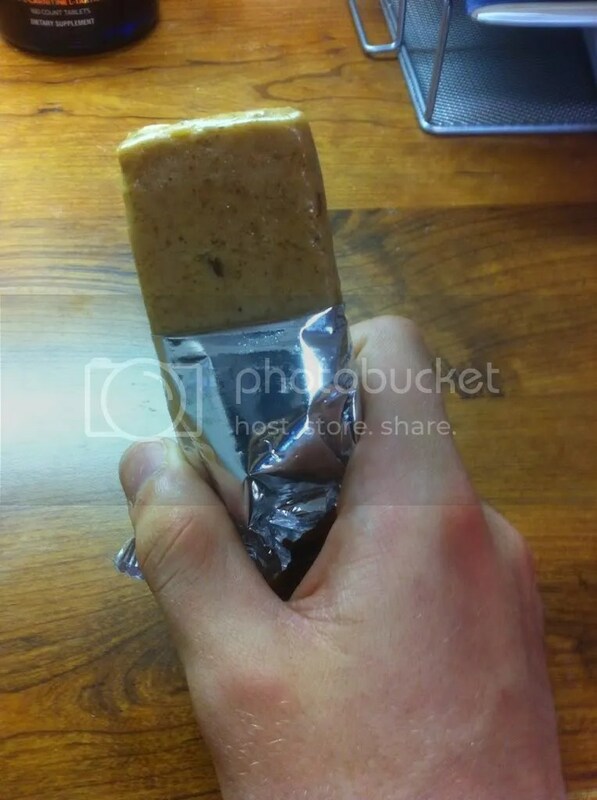 On one hand I thought it seemed not too heavy while eating, which makes it pleasant to eat. However, I feared it would not be filling. Alas, after a few minutes of eating, I felt extremely physically satiated. It lasted hours, honestly. I chose this bar, again, based on my preference for real apple pie. 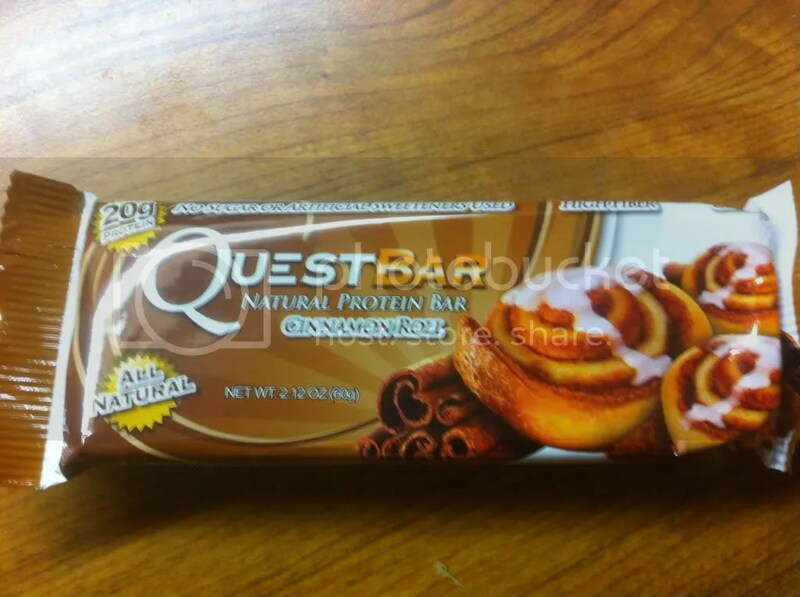 The look and feel of this bar is rather similar to the cinnamon roll bar. One notable difference that you’ll see is chunks of “something” in there. I believe these are in fact real pieces of apple, which turns out to be a great touch. Adds a light crunch and adds to the flavor of the bar as well. Again, I first ate the bar out of the wrapper, then proceeded to microwave for 15 seconds and ate the rest of it. I think this bar tastes better than cinnamon roll when both are just taken out of the wrapper. While this one was still improved by the microwave, it doesn’t quite reach the level of cinnamon roll for me when both are microwaved. It is harder to pin down what this flavor is, as there isn’t a conveniently flavored cookie to compare it to. 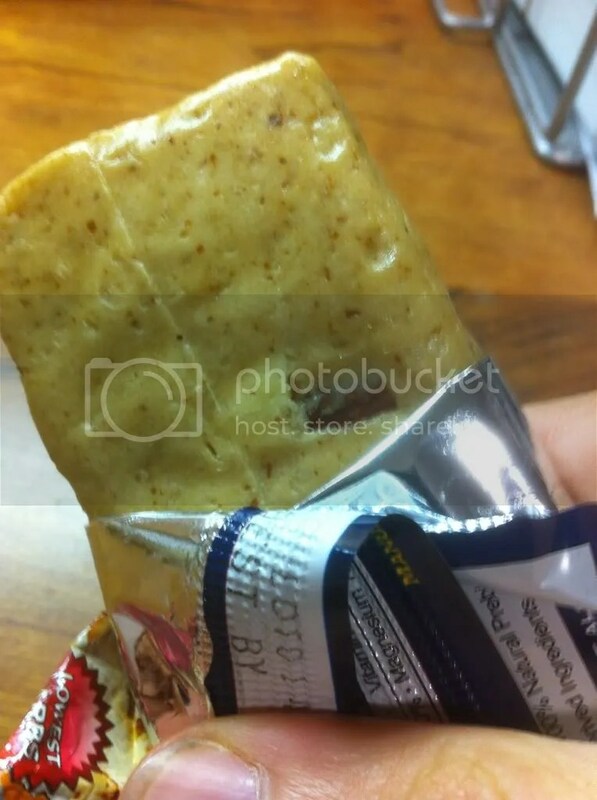 I think there is a very sweet pie crust-ness to it, with an underlying fruity flavor throughout. The apple chunks add some subtle fruit tartness as well. It was a unique flavor and I think Quest hit it very spot on. At this point, I would probably buy this flavor, given the ones I’ve tasted. This was indistinguishable from cinnamon roll from a satiety standpoint, as expected. After having both in a short time, I felt full for about 6 hours. I ate dinner out of a sense of obligation, but could have comfortably skipped it if I liked. I like that about these Quest bars so far – I feel full enough that I need not eat, but not uncomfortably full so that I am unable to eat. Very nice balance achieved for me. My guess is that the high fiber content is to thank for this. I went with this as my next flavor because I do enjoy a peanut butter cup now and then. I will preface this with the fact that I’m generally not a fan of peanut butter flavored things. I will eat some PB&Co. White Chocolate Wonderful peanut butter, but beyond that I pretty much avoid it. I occasionally eat just straight peanuts. 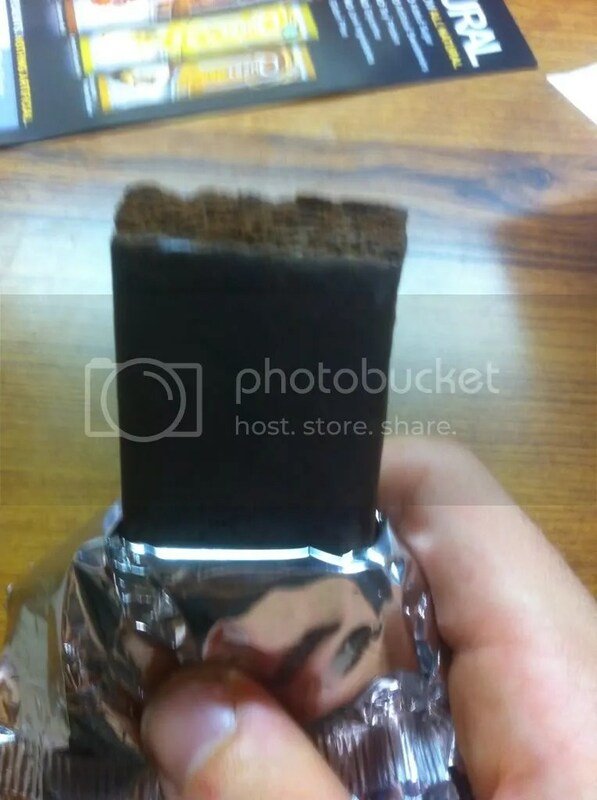 This bar was darker in color, which is no surprise as it is supposed to be partially chocolate flavored. I found this one to be a bit tougher consistency wise than the others, but I don’t know if that is because of the timing of production or something else. 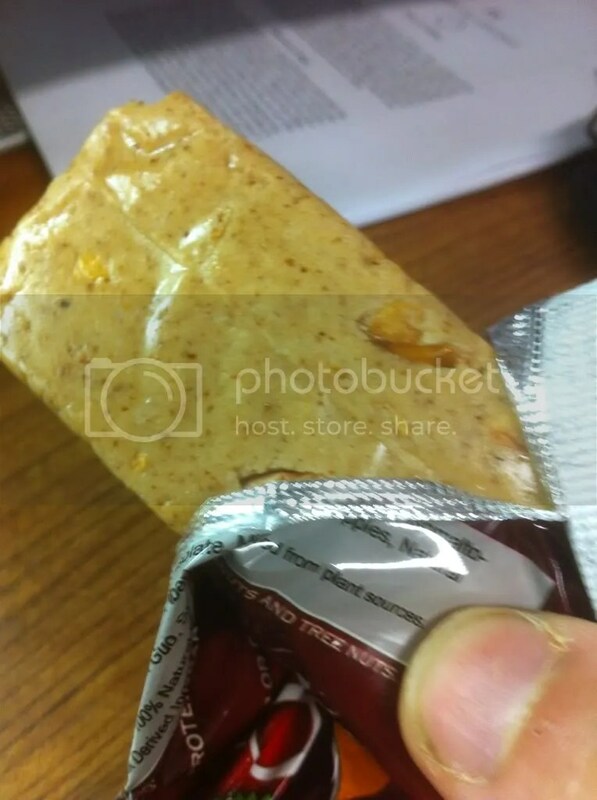 You’ll see that there are some bits of peanut, which isn’t surprising given the other bars. Out of the wrapper, I felt a bit overwhelmed by the peanut butter taste vs chocolatiness. This could be a result of my general peanut butter aversion, I’m not sure. Still good, though. I found that this flavor benefited hugely from 15 seconds in the microwave because it brought out the chocolate in the flavor more. This also helped with that general toughness I noted earlier. This was my least favorite flavor to this point – however, still very good. If this was the only flavor Quest offered, I’d buy it. As it stands, though, it isn’t my favorite. I will say that they hit the flavor in a very fine way, it’s just not a favorite flavor. For peanut butter lovers, this will be a very good option. I saved this flavor for last due to the fact that vanilla is a very hit and miss flavor. Moreover, I completely avoid almonds – I don’t care for them at all. Out of the wrapper, this was middle of the road among the bars as far as softness/toughness. None of these are bad, though. This poor guy, as you might notice in the picture, got a little smashed in shipping. No problem though, you can’t really tell once unwrapping. This has a nicer light color, as you’d expect with a vanilla. This is a very good tasting bar straight out of the wrapper. 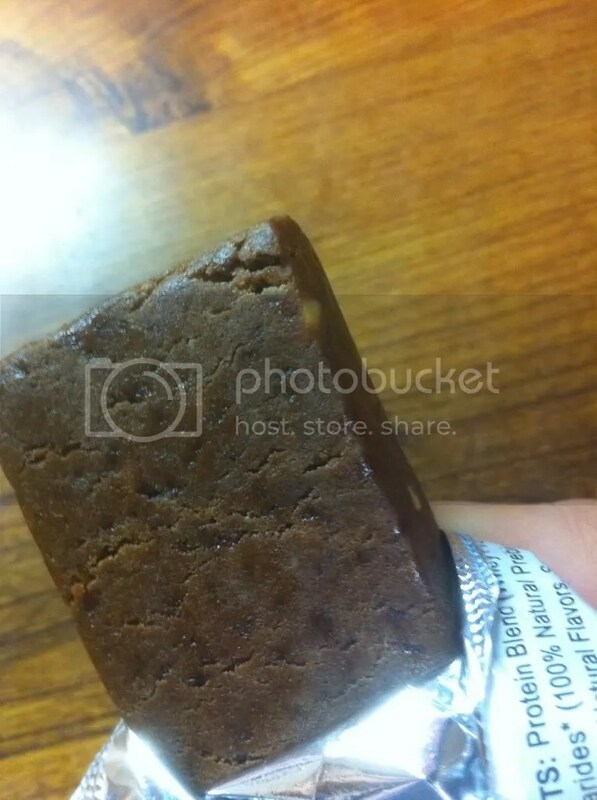 The vanilla taste is very pleasant, not overpowering, and not artificial tasting. While I don’t think any bar is better out of the wrapper than microwaving, this one benefited least from the microwave. This is just a tribute to its very fine taste. I did not notice an almond flavor, but I’m not really familiar with what that tastes like anyway. For someone that doesn’t like some of the more adventurous flavors, this one may be for you. It’s a somewhat neutral flavor, but is delicious nonetheless. If we want to go with a cookie analogy, this would be more like your standard sugar cookie. Not necessarily for the sweets junkie, but has a nice taste of its own. I probably won’t buy enough flavors to buy this one, but I very well could at some point to change things up. Okay, I ordered this right after having my first bar because brownies are my favorite thing ever. BB.com got it to me lightning fast! I couldn’t keep my hands off, so I’m having my third bar of the day . Out of the wrapper, this is of course rather dark, like chocolate. It has less of that shininess that some of the other bars have had. It really looks a lot like a brownie would before getting powdered sugar. My whole box of bars was rather hard, though. I don’t yet know whether this is just due to the relative timing of production or something about the bar itself. It was not inedible out of the wrapper, but it was tough enough that it would take a bit longer to eat and you might want something to drink around. While the taste was nice and really rather authentic, the toughness held it back a bit at first. 15 seconds in the microwave later, holy good god. It was heavenly. The chocolateness came out much more fully after heating, just like the chocolate peanut butter. It was not overly sweet, which is one fear with a chocolate flavored bar. Once again, I think Quest hit the nail on the head with flavoring. Once heated or otherwise the right temperature/rigidity, even the consistency is rather brownie-like. This is merely my personal preference and you may come to very different conclusions. The next time I get paid, I plan on ordering a box of Apple Pie, a second box of Chocolate Brownie, and two boxes of Cinnamon Roll. A last note about fiber intake. During my taste testing, I consumed 2 bars one day and 3 bars the next day. I experienced no negative fiber-related side effects, despite the fact these would be astronomically high numbers for some fiber sources. When taking FiberPlus or FiberOne in about half the amount, I usually have much increased flatulence and occasional stomach upset. I’ve had less flatulence than normal in these past couple days while the bowel movement effects seem to be promising. On that note, I want to also comment on cost. 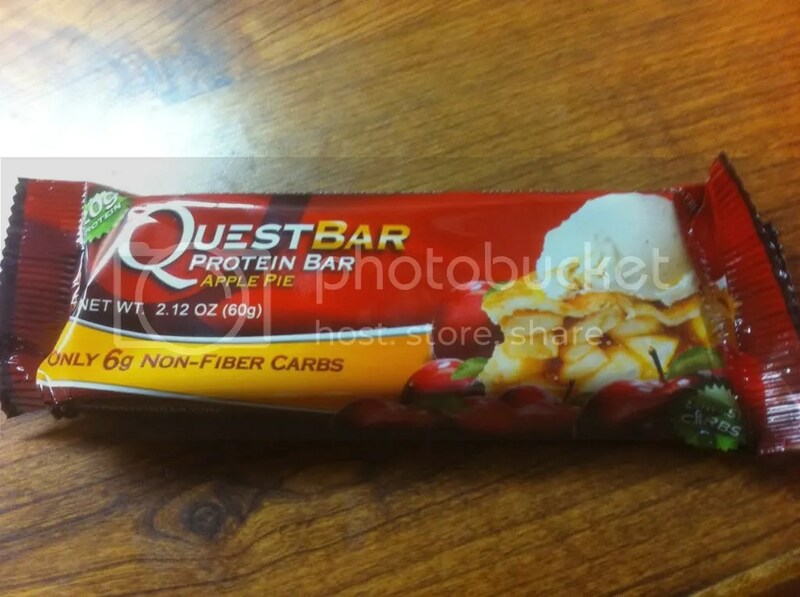 There are a handful of mediocre bars that cost less than Quest, which is around 24.99 at bb.com before a 10% discount for 12 bars. If you do your homework, you can actually find Quest for 21.49/box w/ free shipping. Regardless, some people may be resistant to pay this much for some reason (I was, at first). Ask yourself this – do you supplement fiber? Are you getting a proper fiber intake? If you already supplement fiber or are low in fiber intake (<20g daily), you should think about how Quest can help you in this regard. I used to pay about ~1 dollar per bar for an inferior bar, but I told myself that the price made it okay to settle for less than Quest. However, I realized that I was also spending about ~1 dollar per bar on fiber bars as well, because I often need to supplement my fiber intake. You can see how Quest can double up in this regard, not to mention the nice form of fiber used with Quest. Just some food for thought if you are hesitant. You get a meal replacement, fiber supplement, protein supplement, and a delectable snack all-in-one. This might just make you reconsider where it is you’re investing your money. 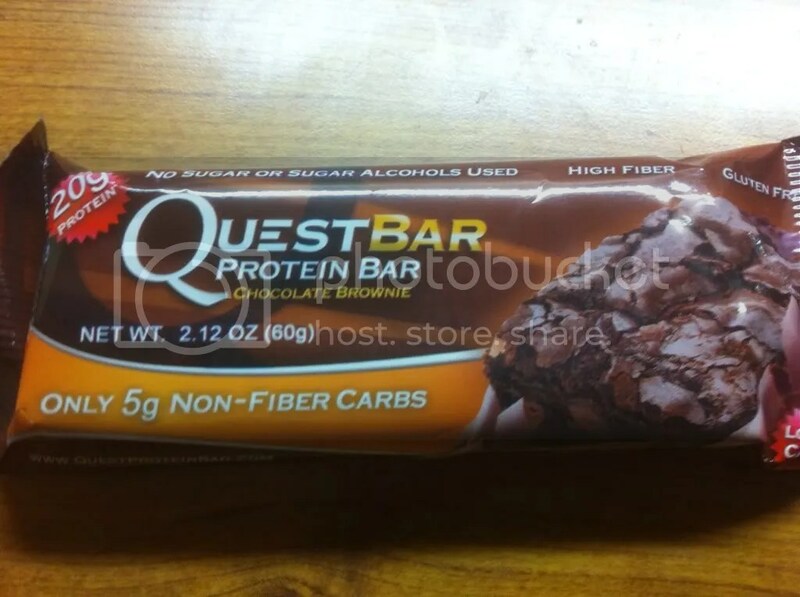 Spending a little bit less on multiple other, lower quality things where you can get it all in a Quest bar ends up costing you more. Needless to say, it will still always be preferable to get everything with “real” food. The implicit understanding here is that you’re reading protein bar reviews because you sometimes aren’t able to get what you need from so-called “real” foods. Since my original review, I have ordered 4 boxes as described. You can read some more user feedback on the forum version of this review. Quest is available for purchase (and auto-delivery) from the Quest Website as well as many retailers. It has not yet reached brick-and-mortar store shelves, but the aforementioned $21.49/box sale is at Get Ripped Nutrition. Lastly, but not least, THANK YOU Quest for the samples! If you haven’t read Part 1, start there. Reminder that this will be a fluid list – I will add things I’ve left out and update as more information becomes available. Moving on – I’ve left you knowing that supplements are FAR lower on the list of priorities than things like your diet and workout program. I’ve also let you with some knowledge of where to get your info and where NOT to get your info. Now I’m going to give you what you probably were looking for in the first place: supplements that you CAN take. I say can because I can never say you SHOULD take supplements, they simply are not needed. I’m going to break this down by categories first. I’m not going to talk specific products here, and only touch on particular ingredients. Eventually, I will write individual articles on each category and link them here. 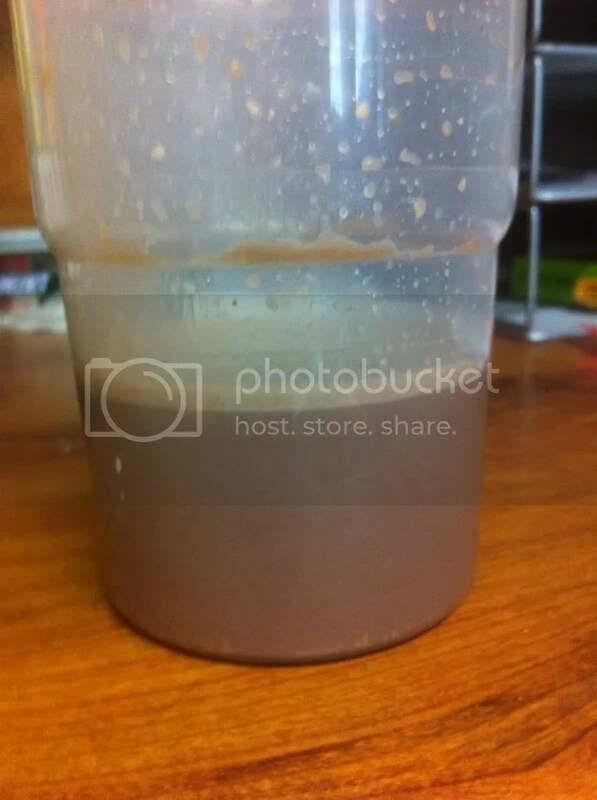 PROTEIN: Supplemental protein is the most basic and widely heard of category of dietary supplements. While you do need to take precaution that a company is reputable enough to meet label claims, it is basically true that protein is protein. It is always best to try to get all of your protein via diet, but I understand especially well as a college student that this can be both difficult and expensive. For those times, you have supplemental protein. Whey, casein, rice, etc. doesn’t matter. The only one to avoid is soy. This has been shown to have an estrogen increasing effect in men. However, don’t worry about moderate soy intake in foods – just don’t make it a primary source of protein and you’ll have no issues. The final word of advice on these is not to buy the hype that you must take protein immediately post-workout, before bed, or any other particular time. As I told you in my diet article, there is no evidence that nutrient (protein is a nutrient) timing is of relevance to non-endurance athletes. As long as you consider protein as a food source and try your best to consume all of your protein via whole foods, I can say that supplemental protein works without reservation. Just try to find one that tastes good and you enjoy drinking. CREATINE: Creatine is a supplement that works. However, it is a very misunderstood supplement so let’s discuss that quickly. For one, it is completely safe. Those that associate it with liver/kidney issues are misunderstanding medical signs. To ease your fears, I will try to explain this – creatine supplementation will increase creatinine (see the spelling difference) levels in your system. For non-supplement users, raised creatinine levels can be a sign of a medical issue. Raised creatinine is an effect of a medical condition, not the cause of it. Therefore, the increase in creatinine from creatine use is harmless. Moving on from that, creatine is the most studied dietary supplement, ever. It definitely works and it has become very affordable. You need to know that there are different kinds of creatine, though. The most common and arguably best form is creatine monohydrate. It is cheap, effective, and most proven. There are other “designer creatines” that vary in their cost, effectiveness, and prevalence. The one of these to avoid is Creatine Ethyl Ester (CEE) – this has been proven ineffective. 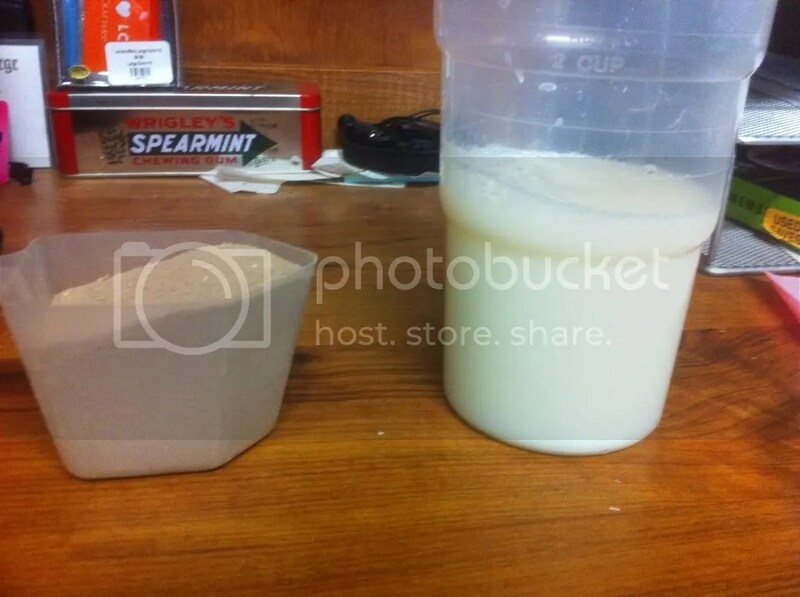 Why use something other than creatine monohydrate? There is a possibility that some people are pre-disposed to be nonresponders to creatine, and some of these other forms may help non-responders in particular. Likewise, some good “designer creatines” may help speed absorption. If you must get a more expensive form, try these: magnesium creatine chelate (MCC) and/or creatine malate. 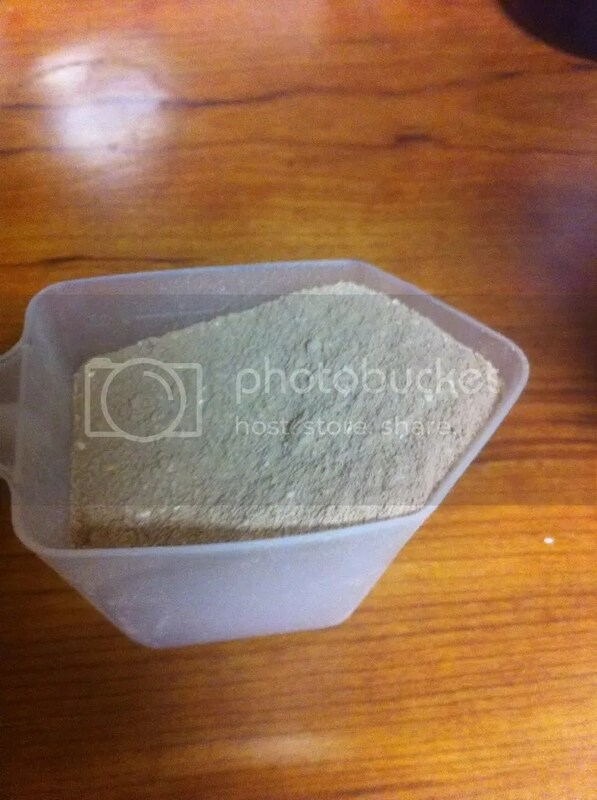 The last bit on creatine is usage: for creatine monohydrate, the basic guideline is 5 grams daily. There is no loading phase and there is no need to cycle it. You will reach saturation after about a month and there isn’t a way to accelerate this (more isn’t better). Once you are saturated, it won’t take as much to stay saturated but nonetheless it may be simpler to keep going at 5 grams daily. A warning – this is not steroids. You will not get some huge 30 pound increase on your bench press in a month or get some notable physique change. The main effect you should notice is an added rep or so in moderate rep sets (4-6 reps). BETA-ALANINE: While creatine is the most studied ingredient, beta-alanine is coming in second. Almost all research shows beta-alanine to be effective at increasing endurance (think the 8-12 rep range). Of course, it’s clear that a few more reps will be constructive for getting stronger. You can get beta-alanine in a pre-workout type of beverage, but it doesn’t matter what time of day that you take it. It is also best if you take it in two different doses. Research shows it’s effectiveness between 3.2-6.4 grams per day, taken in at least two separate doses. You may experience tingling of the skin with beta-alanine, but this is harmless and goes away with more usage. Splitting doses and taking with carbohydrates can help to further alleviate this effect. As I warned you with creatine, this is not a miracle substance: it will also take several weeks to reach saturation and even at that time you won’t turn into Superman. We’re talking a couple added reps at the end of high rep sets here. 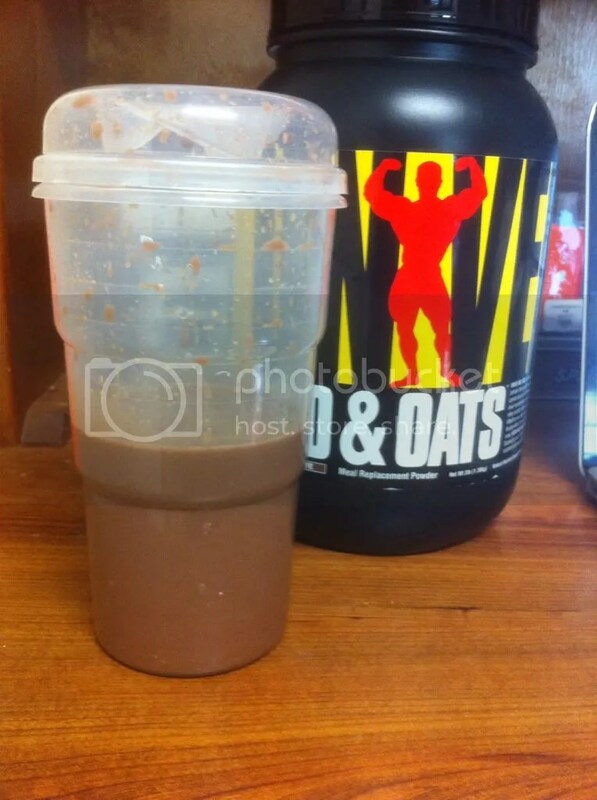 PRE-WORKOUT STIMULANTS: One of the most popular categories of supplementation is the pre-workout drink. The main reason that casual users find these to be effective is the stimulant content of these drinks. It is definitely true that caffeine has energy, cognitive, and performance benefits. The newly popular 1,3 dimethyamylamine (DMAA, geranamine, geranium oil/extract) is similarly effective and can have some benefits for those that are used to caffeine usage. However, there are side effects and tolerance concerns that motivate me not to recommend DMAA. Likewise, rumor has it that DMAA will soon be banned. Nonetheless, I can tell you that caffeine works. I will say that most pre-workout drinks sold in stores are a bunch of junk with caffeine sprinkled on top – but the caffeine is something you can feel. If you are not informed on common pre-workout ingredients, I suggest you take a caffeine tablet or a cup of coffee for now if you must have something. There will be more information coming later in this article and in a separate one (click here!) that should help you choose your pre-workouts more effectively. JOINT SUPPLEMENTS: If you have joint issues, start with Glucosamine, Chondroitin, and MSM. There are many products that combine the three, including a popular multivitamin. Another ingredient you’ll want to look for is called cissus. Also, fish oil may help your joint health (but more on that in a minute). These are simple and relatively cost effective supplements that can make a real difference in the way you feel, especially as you age. Also, these can make for excellent prevention (though not foolproof). FISH OIL (EPA/DHA): First, when you hear about fish oil, we’re talking about the Omega 3 fatty acids DHA and EPA. The rest of the fat and Omega 3 content in your fish oil supplement is unneeded. This is important because you will have to look at the label to know how much EPA and DHA there is vs. the total fish oil content. Research suggests your best dose will be between 2000-3000mg combined EPA and DHA, so you will likely have to take more caplets than the label suggests. You also need to factor this in when you calculate the cost effectiveness of your fish oil. So what does it do? As mentioned before, it does have joint health benefits. It also is known to have some muscle enhancing/anti-inflammatory effects. More importantly, it has noted heart and brain health benefits that are very important in the long term. These Omega 3’s are a big part of a healthy diet but are largely absent in American cuisine. 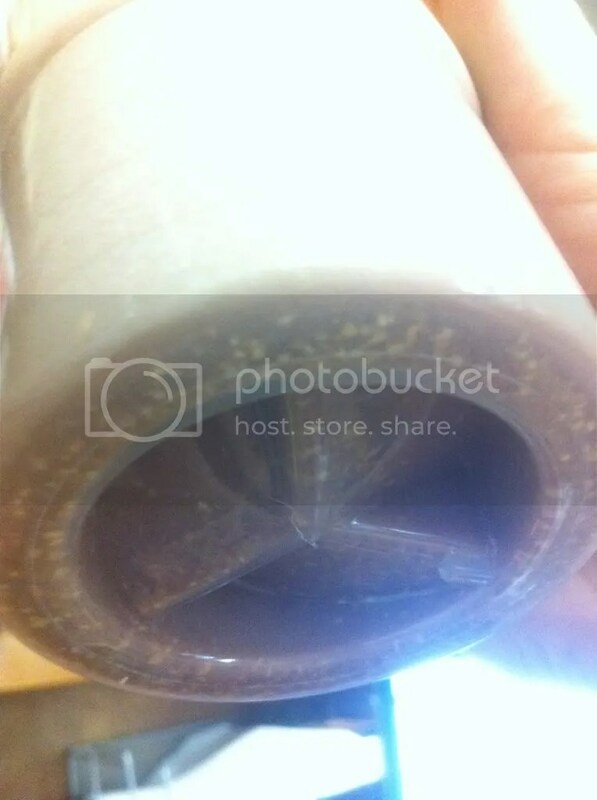 MULTIVITAMINS: This is a can of worms and has warranted its own article for more discussion. Studies on your run of the mill, one-a-day, Centrum-esque multivitamins have shown them to be ineffective for the most part. It seems pretty clear that cheap multivitamins that don’t source well (more on that in the multivitamin article) do NOT work though. If you’re shopping at Wal-Mart for your multi, just save your money. However, there is research on some individual vitamin and mineral forms that suggest some of them should work. The main issue here is that you’re not supposed to “feel” a multivitamin, even if it is working. Also, we’re not generally deficient to a dangerous extent very often in any particular vitamin/mineral. Finally, there is just not enough conclusive research either way for me to say definitively that they are worth it. FAT BURNERS: This is the most tantalizing category for people and I hesitate to even give it the “maybe” status. A more accurate description would be “doesn’t work as described.” It’s hard to paint with a broad brush, but most fat burners are stimulant-based. With the ban of ephedrine and the side effects common to many other stimulants, almost all fat burners feature caffeine as the key ingredient. The truth is that there is some usefulness to caffeine and a few other stimulants. For one, there is “thermogenic” effect that will cause a marginal increase in metabolism. You would literally feel warmer using this type of thing. Also, some will experience a notable decrease in appetite when using stimulants. There’s no doubt why that would be useful when dieting. However, there’s no evidence of any direct fat burning property for fat burners. Two more things: 1. Fat burners don’t make up for a poor diet – you will only drop fat when in a caloric deficit. and 2. Stimulants act as a diuretic, so a higher than normal dose of stimulants can cause you to lose upwards of 5 pounds of water. So don’t fall for the miracle drug because you lost a few pounds of water. BCAAs: Branched Chain Amino Acids have become very popular in the industry. BCAAs are very important physiologically. The real question is whether you need to supplement them directly or if your protein consumption is enough. There are a ton of people using BCAA products swearing that they enhance recovery and endurance. However, there isn’t any sound research that tells us that supplemental BCAAs are useful for these functions. The research out there has been riddled with conflicts of interest. I invite you to read this link for more discussion on this controversial topic. OTC SLEEP AIDS: A relatively popular area of supplementation are sleep enhancers. There are a few that help induce sleep, and many others help with staying asleep. I say these “might” work for several reasons: some in this category don’t work at all, some will work for some people, and there is also a strong potential for placebo. For instance, the most popular (and ubiquitous) ingredient in this category is melatonin. This is only useful for people who have hormonal imbalances. However, many people take it and since they have peace of mind that they will sleep well, they do in fact sleep well and swear by it. Another popular sleep aid is ZMA, and this can be effective for some people. Some others have very averse reactions. GABA is another ingredient that helps many but causes poor reactions in others. There are many ingredients in this category and most of the best products use a variety of several to reach the best effect. In the near future, I will review some to give you more ideas as to specific products. PROBIOTICS: Probiotics are becoming widely available and are starting to gain interest in fitness circles, especially given the type of diets common to those trying to get high amounts of protein, fiber, etc. Probiotics are bacteria that aid in digestion, many of which are already present or ought to be present in our digestive tract. Due to bad luck, diet, or antibiotic use, many of us may be deficient in some of these bacteria. Supplementary probiotics are surmised to survive the digestive process and form colonies, then performing their function. The “maybe” part of this is that there are many strains and ways (like methods of encapsulation) to get probiotics and it’s difficult to examine each one. The research that is out there is mixed. At their best, you should flatulate less, have more regular and comfortable bowel movements, and absorb nutrients more efficiently. The rub here, like multivitamins, is that the effects may be extremely subtle if you are not dealing with extreme flatulence or digestive discomfort. This list is potentially endless, so I’ll only cover some of the most misused supplements to help you save your money. GLUTAMINE: Glutamine is an amino acid that makes up a huge portion of all your skeletal muscle. On the surface, that alone makes one think that you must need it if you’d like to build more of that muscle. This logic has caused glutamine to be one of the very most popular supplements available, purporting to be a key muscle builder. Unfortunately, it has been proven rather conclusively that for a non-endurance athlete consuming a protein-rich diet, glutamine supplementation will not increase strength, build muscle, or aid recovery. It can support the immune and digestive systems, however, so it wouldn’t be the worst thing to help you through sickness. Otherwise (unless you are a distance runner/biker), glutamine does not work! ARGININE: Arginine is the prince to glutamine’s king. Arginine is yet another amino acid that is supposed to aid in strength and increase pumps. This is the ingredient that gave rise to the “nitric oxide” phenomenon. This is another substance that it makes sense that it would do what we hope it does, but it just doesn’t. Orally ingested arginine is effectively useless and is possibly even detrimental. It has been proven to be a very effective placebo, however. There are lots of people buying arginine and believing their workouts have improved. The only usefulness of arginine is in products that also have nitrates (but that’s a different story). HGH SUPPLEMENTS: There are a bundle of supplements out there that purport to raise growth hormone levels. These are completely ineffective. The best ones are in fact sleep aids, as it is true that a deeper sleep will result in higher growth hormone release. Most are just complete bunk, though. Real growth hormone enhancement costs thousands of dollars and is given by medical doctors. A reminder: this is not an endorsement of the use of any of these supplements. If you want a guide on supplement use, look ahead for Part 3.